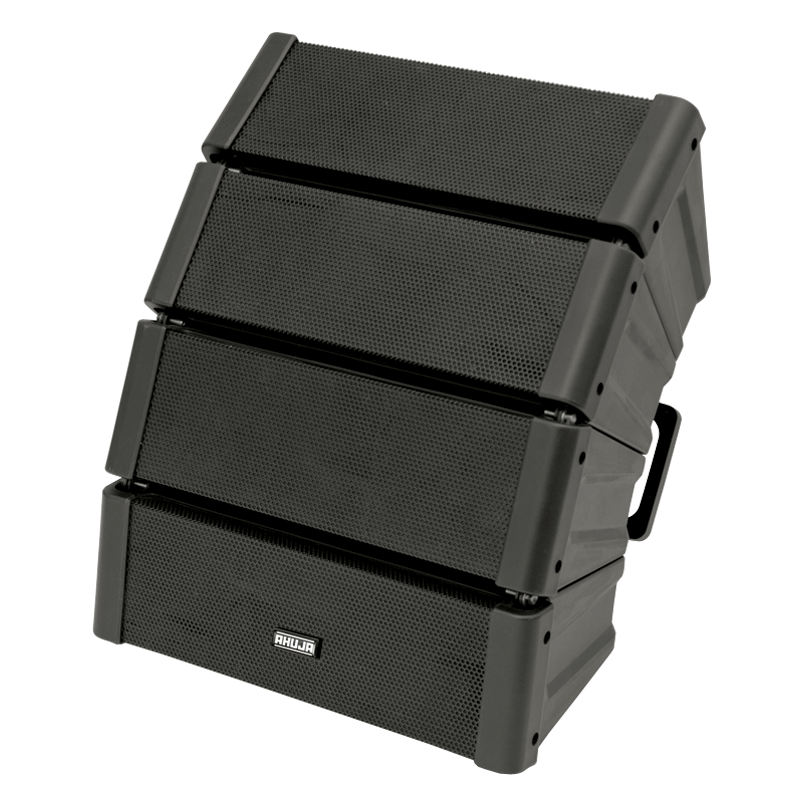 A full bandwidth modular line array comprising 4 trapezoidal enclosures arrayed in a vertical pattern for controlled directivity. The four enclosures are intended to be used as an integrated unit, and are packaged as a single variable dispersion system with nominal impedance 8 ohms. The line array package is aesthetically elegant and handsome, and also delivers exceptionally good, clear, intelligible sound – directed wherever it is most required. The line array is supplied fitted with a wall mount bracket and handle. The relative angle between each of the enclosures is adjustable from 15 degrees to 60 degrees in 15 degree increments.